Dealing with water damage and mold growth in your home is never something you want to handle on your own. If you find a water leak anywhere inside your home, call the water damage Kemah experts with 911 Restoration Houston. Our IICRC certified water damage Kemah and mold removal Kemah experts will be there within 45 minutes of your call to mitigate every trace of moisture and mold. Don’t prolong your water damage repairs, as it takes no more than 48 hours for water to become contaminated with bacteria. Be sure to call our water damage Kemah and mold removal Kemah experts at 911 Restoration Houston for immediate assistance and solutions for your restoration concerns. Acting quickly in a water damage situation will reduce the chances of mold infestation and bacteria in your home. Our water damage Kemah experts arrive prepared to every job site. We want to keep make sure our customers understand the restoration process and the work that goes into properly repairing your home. Upon arrival, our water damage Kemah pros conduct a free visual inspection of the interior of your home. After assessing the degree of the damages, they prepare a detailed repair estimate and comprehensive repair plan, so you know what to expect. When you hire us, you can expect top of the line quality repairs by our water damage Kemah and mold removal Kemah experts. We use high powered water extraction machines and apply advanced drying methods to make sure your home is safe again in no time. Our mold removal Kemah experts rely on their experience, knowledge, and technology to make sure every area in your home is inspected and accounted for. With the help of state of the art technology such as infrared cameras, we are able to inspect those areas that are not visible to the naked eye, such as wall cavities and under your floors. If your home is displaying signs of a water damage or mold infestation, call the water damage Kemah and mold removal Kemah experts with 911 Restoration Houston. We know that situations such as pipe bursts, appliance malfunctions, and rainstorms can happen at any time, and this is why we are available 24/7/365, all year long. In addition to scheduling your same day service appointment, your dedicated project manager will help you file your water damage and mold remediation claim with your insurance company. Additionally, the water damage Kemah and mold removal Kemah experts meet with insurance adjusters on site as needed. With our affordable prices and direct billing, we make sure you have a seamless experience and get the most out of your homeowner’s policy. 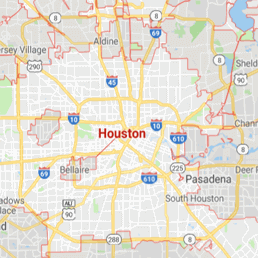 At the first sign of water damage in your home, call the water damage Kemah and mold removal Kemah experts with 911 Restoration Houston, today!